Our product knowledge and service levels mean that we consistently exceed customer expectations. The quality of our electric heating systems speaks for itself. 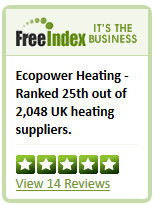 “Having had other quotes from various companies Ecopowers price was excellent. The radiators are great looking and perform excellent with the digital controller and with various settings are easy to set up and use. Mr P Dyson – Shipley. We had two other electric heating companies give us a demonstration of the german heating system. Which we thought were extremely expensive if not to say over the top!the demo was very good BUT no mention of prices! 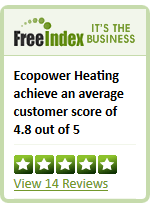 We then went online to look at other companies and came across Ecopower, was impressed with there web page which also gives PRICES, and decided to ring the company and get a quote emailed to me, and how pleased I was I did this, they were considerably less money than the ones we had demonstrated, so we decided to purchase, the quality is exceptional and although you have to get your own electrician to install them they still work out a better value. We have had them about a week now and they work Brilliantly in fact they are hardly on at all as we have them set at 21c and once the room gets to the desired temp, thats it, its warm and snug, we decided to get these instead of Gas heating because in our other house we had a new boiler which after less than three years our boiler let us down over xmas!! and apart from a power cut these are Guaranteed 30 yrs not bad hey, any one in the Frome area want to see them give us a bell on 07411956296 and make an arrangement. Mr P. Vernon – Frome.